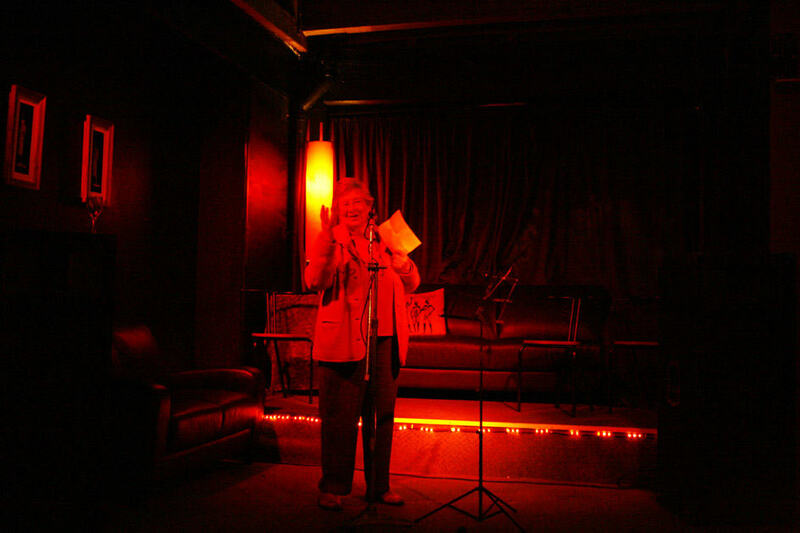 The third wave of poetry posters were launched on Friday 28th August at Al’s Bar in Christchurch, on what would have been Janet’s 85th birthday. This third wave includes poems from Rhian Gallgher, Gary McCormick, Jackie Steincamp, Hilaire Campbell, Pablo Nova, Campbell McKay, Geoff Cochrane, Ben Brown, Nicholas Thomas & Janet Frame. Pamela Gordon of the Janet Frame Literary Trust was also present to announce the 2009 Janet Frame Literary Trust Awards to winners Geoff Cochrane (for poetry) and Alison Wong (for Fiction). The two $10,000 prizes mean that a grand total of $85,000 has now been gifted to benefit New Zealand writers by Janet Frame’s estate from the fund the late author set up for that purpose in 1999. Our part in all this is more modest than that but we have printed and placed 6,000 A1s of 20 different poems by 20 different poets from Whangarei to Invercargill over the course of the project so far. 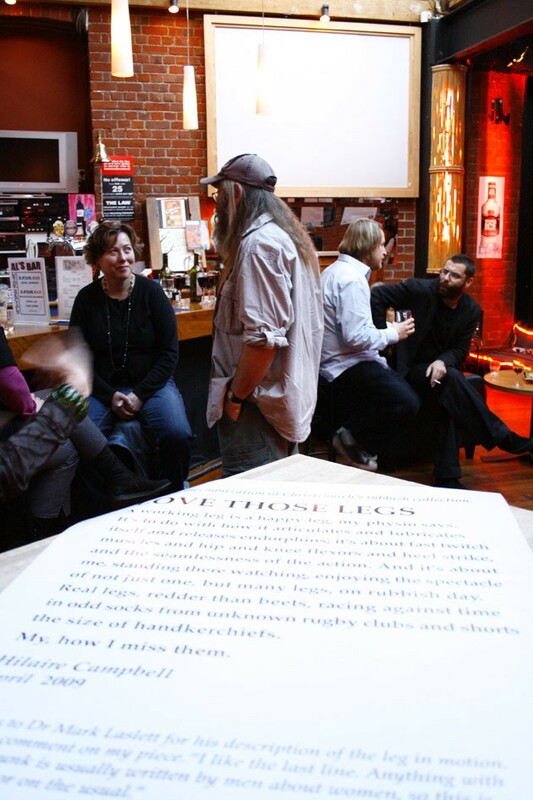 We ran poems in the first burst from: Tusiata Avia, James Milne (aka Lawrence Arabia), M White & J D McCaleb. And in the second burst from: Michele Leggott, Frankie McMillan, Otis Mace, Bill Direen, David Eggleton & Josie McQuail. In keeping with the “why not” spirit of the whole enterprise, we’ve also placed posters in Paris, France; Sydney, Australia. ; Nashville & Knoxville, Tennessee and Princeton & Lambertville, New Jersey. Look out for the latest wave of poetry for the people on Phantom street poster sites in 13 centres New Zealand wide.